Gerardo Pesantez/World Bank High rises and hotel buildings in Punta Pacifica, Panama City, Panama. In the early years of this century, completely new cities began emerging across Asia and Africa, transforming previously unremarkable expanses of land or reclaimed ocean areas. Could some of these new urban creations become the economic powerhouses of the future? The fervour for building cities from scratch seems inexhaustible, with construction starting on mega-projects in Malaysia, China, Sri Lanka, Nigeria, Kenya, Oman and Saudi Arabia, among other countries. According to United Nation estimates, 66% of the world population will live in cities by 2050. Meeting the needs of these billions of people will provide huge challenges. In North America, over 81% of the population are city dwellers, although only New York City ranks in the top 10 largest cities in the world. 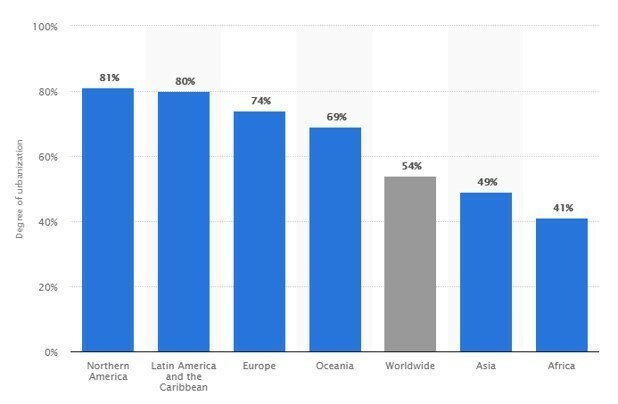 Latin America and the Caribbean almost equal the US with 80% urbanization and Europe is third with 74%. With rapidly growing populations, Asia (49%) and Africa (41%) are urbanizing fast. Many traditional cities have dated infrastructure and old technology, which can hold back progress. But if developers start with a clean slate the cities of the future may look very different to our current cityscapes. 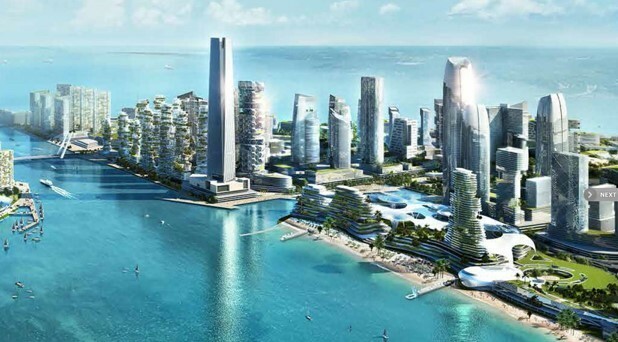 The city is being built on artificial islands. Just 2km from Singapore’s north-western tip, Malaysia’s Forest City is a controversial new development that sits on land reclaimed from the sea. Quite a lot of land, in fact. Designed to house 700,000 people the city will cover 14 square kilometres, an area four times the size of New York’s Central Park. 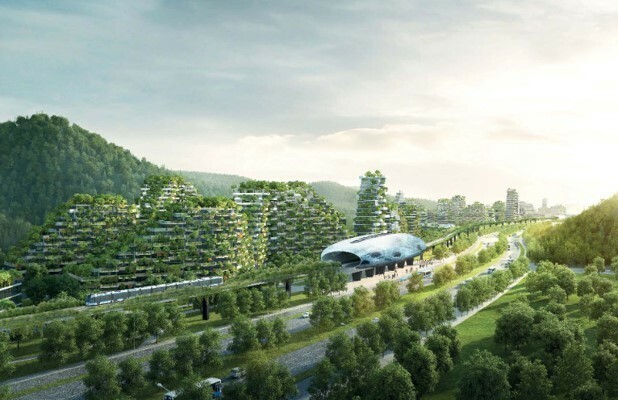 This smart city will have no cars and the residential and commercial eco-skyscrapers are set to be covered in plants to reduce noise and air pollution. Due for completion in 2035, it aims to create 220,000 jobs. Liuzhou Forest City’s plant-covered buildings. A new green development near Liuzhou has a few things in common with its namesake in Malaysia. Designed by Italian Architect Stefano Boeri Architetti, the project will house 30,000 people when it is completed, and feature commercial and recreational spaces. Featuring spaces and buildings covered in plants and trees, it provides the perfect environment for birds, insects and people to thrive. The project aims to combat air pollution by absorbing CO2 (around 10,000 tons each year) and producing oxygen (900 tons each year). Technology entrepreneur and Microsoft founder Bill Gates is creating a smart city in the Arizona desert. Covering 25,000 acres of land, Belmont will be designed and built with technology at its core. Developers, Belmont Brothers, say the city will focus on liveability and feature high-speed internet connectivity embedded into the environment. The 182,000 projected inhabitants will be able to move around the city in self-driving cars, with smart traffic lights that minimize congestion. 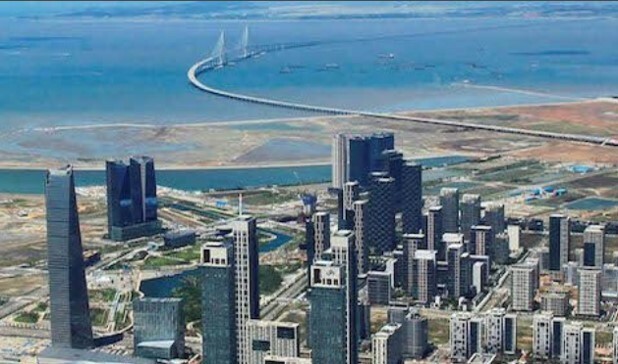 The International Business District (IBD) of Songdo City in South Korea is designed to maximize public transport and make the daily car commute a thing of the past. The district was planned so that most offices, schools and non-residential buildings are close to apartment buildings and accessible within a short walk. Approximately 40% of Songdo is dedicated to green space, which together with less road traffic and integrated public transport has helped the city reduce greenhouse gases. Instead of trash being collected by trucks, the city’s waste is sucked by pneumatic tube from chutes in residential buildings and collected centrally, where it is recycled or converted into energy. An artist’s impression of the city at night. Built on reclaimed land, Colombo Port City artificially extends Sri Lanka’s coastline more than 200 hectares into the Indian Ocean. The new city sits on the world’s busiest shipping route, with access to east Asia, Africa and the Middle east, adding to the strategic collection of newly acquired Chinese ports stretching from Asia to Europe. Colombo Port City is strategically positioned to become one of the most prominent finance and trade centres in the region, boasting independent investment legislation and policies. The development could reset Sri Lanka’s economic and geopolitical position in the world. A design for the refurbished port area. 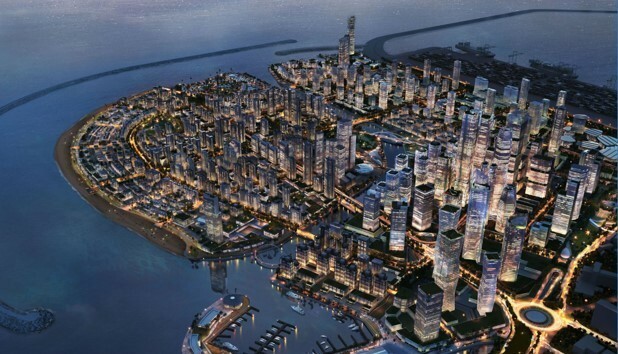 Sino-Oman Industrial City is a US$ 10.7 billion city being built on the Arabian Sea south of Muscat, the Omani capital. Located in the Duqm Special Economic Zone, the 11-square-kilometre development aims to transform an underused port surrounded by sand into a transport-oriented desert supersite, with homes, infrastructure and recreational facilities for 25,000 residents. The port operation also hosts an oil refinery and a methanol plant, with a manufacturing plant for solar energy equipment, an oil and gas equipment production facility, as well as a car assembly factory and a building supplies distribution operation. 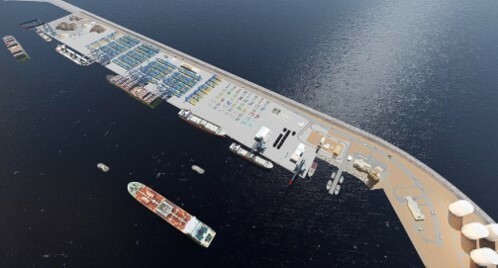 Port of Duqm predicts total cargo traffic will increase exponentially in the next few years, approaching 40 million tons by 2022. A few decades ago urbanization was seen as a problem. Now it is viewed by some as an opportunity to reshape the global economy. Traditional cities grow over time, spreading and sprawling as the population expands, but these new cities are purpose-built. Strategically located, they are designed to become tomorrow’s trade, finance, logistics, technology or commercial centres, directed at long-term economic growth that could challenge existing global networks. « What would happen if we removed cars from cities?